Scientists often say there's no safe dose of radiation, only varying levels of risk. 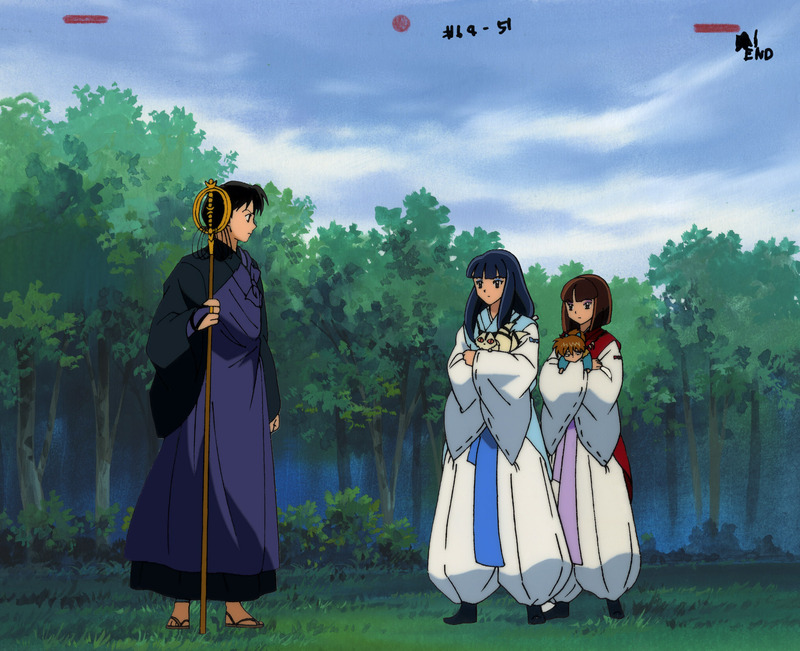 If you're a pretty young woman, the same could be said of distance from Miroku. Of course, it also helps to avoid turning your back on him. 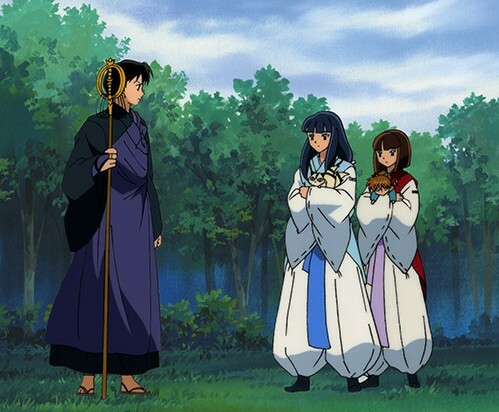 I really like the character designs for the young priestesses Momiji and Botan, it's too bad they weren't given more to do.